A man and woman arrested and charged in a Birchwood drug bust case have now both been sentenced in Sawyer County Circuit Court. 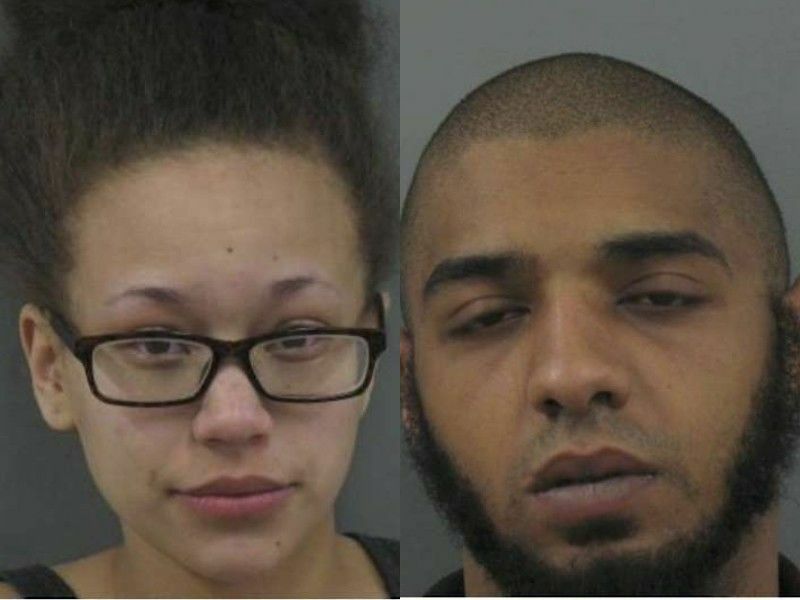 SAWYER COUNTY -- In January 2018, Sawyer County Law Enforcement and the Birchwood Police Department conducted an investigation that resulted in the arrest of Mykel Wolf and Summer McMillan DrydenWire.com reported on February 26, 2018, that the investigation led to the execution of a search warrant resulting in the seizure of nearly 300 grams of marijuana, 8 grams of methamphetamine, and 3 grams of cocaine along with numerous items of drug paraphernalia including digital scales. Investigators also located and seized 10 firearms, several thousand rounds of ammunition, 3 bulletproof vests, and a gas mask. According to a criminal complaint, charges of Class H Felony Possession with Intent to Deliver THC (Marijuana), More than 200 grams but Not more Than 1,000 grams, with the Use of a Dangerous Weapon; Class E Felony Possession with Intent to Distribute Methamphetamine, More than 3 grams but Not More Than 10 Grams, Use of a Dangerous Weapon; Class F Felony Possession With Intent to Deliver Cocaine, More than 1 Gram but Not More Than 5 Grams, Use of a Dangerous Weapon; Class I Felony Deliver THC (Marijuana), Use of a Dangerous Weapon; and Class I Felony Maintaining a Drug Trafficking Place, Use of a Dangerous Weapon were filed against Wolf stemming from this investigation. In two separate cases filed in Sawyer County Circuit Court, Wolf was charged with Class I Felony Manufacture/Deliver THC (<=200g) and Class H Felony Bail Jump. McMillan was charged with Class I Felony Possess With Intent THC (Marijuana) following the Birchwood drug investigation. Online circuit court records indicate that on November 20, 2018, Wolf appeared and entered a plea of No Contest to his charge of Class E Felony Possess w/Intent-Amphetamine (>3-10g) with penalties for Class E Felony and Use of a Dangerous Weapon. The Court accepted a deferred sentence agreement for Wolf on this conviction. Details of the agreement’s requirements are not known to DrydenWire.com at this time, however, according to online circuit court records, the Court ordered that the firearms seized at the time of the search warrant are to be tendered to Wolf’s mother and not to Wolf. In addition, Wolf entered a plea of No Contest to a charge of Class I Felony Manufacture/Deliver THC (<=200g) filed against him in one of the separate cases. The Court ordered a withheld sentence for Wolf on this conviction with 3 years of probation. Conditions of Wolf’s probation require him to complete any counseling recommended by the Department of Corrections. The remainder of the charges filed against Wolf were dismissed but read in by the Court. McMillan entered a plea of Guilty to a reduced charge of Misdemeanor Possession of THC in July 2018 and according to online circuit court records she received a withheld sentence with 1 year of probation on her charges. She is required to complete any counseling recommended by the Department of Corrections as a condition of her probation. SAWYER COUNTY -- Felony charges are filed against 2 Birchwood, WI residents after Sawyer County Law Enforcement, assisted by the Birchwood Police Department, conducted an investigation that resulted in the seizure of nearly 300 grams of marijuana, 8 grams of methamphetamine, and 3 grams of cocaine along with numerous items of drug paraphernalia including digital scales. Investigating officers also located and seized 10 firearms, several thousand rounds of ammunition, 3 bulletproof vests, and a gas mask. On January 18, 2018, a Sawyer County Sheriff’s Deputy, along with a Birchwood Police Officer, went to the Birchwood residence to serve child support papers on Mykel Wolf. Prior to going to the residence, these officers contacted Sawyer County Narcotics Investigators to find out if there was any information they should know about Wolf in preparation for making contact with him. They were advised that Wolf had been involved in at least one controlled buy conducted by Sawyer County Narcotics Investigators in the course of a previous investigation, and that Wolf had been armed during that contact, and that he was known to consistently carry a handgun on his person. When the officers arrived at Wolf’s residence, a woman answered the door, who was later identified as Summer McMillan. The officers could smell the odor of marijuana when McMillan opened the door, according to the criminal complaint filed against Wolf. McMillan allegedly told deputies that Wolf was not there and denied the odor of marijuana. The officers left the residence and a short time thereafter it was determined that a search warrant would be obtained for the residence. The officers returned approximately 20 minutes later to secure the residence until the search warrant could be executed. A vehicle was seen leaving the residence at that time. One of the officers conducted a stop on the vehicle and found McMillan in the vehicle. She returned to the residence with the officer. At that time, Wolf was seen outside the residence. Officers made contact with him and explained the papers which were to be served on him. The search warrant was granted and executed, and during the search, officers located nearly 300 grams of marijuana, 8 grams of methamphetamine, and 3 grams of cocaine. They also found 3 digital scales, 2 marijuana grinders, and multiple plastic gem baggies. In addition, officers found marijuana THC oil. Inside the residence, officers also found 9 firearms and several thousand rounds of assorted ammunition. One of the firearms was found under the couch in the living room, with a magazine inserted in the firearm and an extra magazine next to it. In Wolf’s vehicle, a tenth firearm was found inside of a drop leg holster along with extra magazines. Three pieces of body armor (bullet proof vests) were also found in the residence, as well as a gas mask with new filters. When investigating officers interviewed Wolf, he allegedly stated that the reason he had such a large quantity of controlled substances is that it is economically cheaper to buy in bulk. Wolf allegedly said that he has the body armor because it’s “badass” to have and because he is a doomsday prepper. According to the criminal complaint Wolf went on to say that he was currently attending school to become a law enforcement officer and that he believed both those who commit violations of the law and the officers who enforce the law have ‘a criminal mindset’. Investigating officers also interviewed McMillan, who allegedly admitted that she had left the residence with approximately 5 grams of marijuana, packaged in 2 separate bags, that she had purchased from Wolf. The criminal complaint goes on to state that McMillan told officers that she intended to sell the larger of the 2 bags to another person, whom she chose not to identify. She also allegedly stated that she had been staying overnight at Wolf’s residence a few times a week and that she knew about the marijuana and firearms in the residence, but had no knowledge of any other drugs in the residence. According to the criminal complaint, McMillan also said that she was on leave from her job at the time of the incident, due to having recently had a baby, and that she was trying to supplement her income. Wolf is charged with Class H Felony Possession with Intent to Deliver THC (Marijuana), More than 200 grams but Not more Than 1,000 grams, with the Use of a Dangerous Weapon; Class E Felony Possession with Intent to Distribute Methamphetamine, More than 3 grams but Not More Than 10 Grams, Use of a Dangerous Weapon; Class F Felony Possession With Intent to Deliver Cocaine, More than 1 Gram but Not More Than 5 Grams, Use of a Dangerous Weapon; Class I Felony Deliver THC (Marijuana), Use of a Dangerous Weapon; and Class I Felony Maintaining a Drug Trafficking Place, Use of a Dangerous Weapon. A separate case has also now been filed in Sawyer County Circuit Court against Wolf, charging him with Class I Felony Deliver THC (Marijuana), Use of A Dangerous Weapon, from an incident that occurred on April 13, 2016. McMillan is facing a charge of Class I Felony Possess With Intent THC (Marijuana). Online circuit court records show that both Wolf and McMillan appeared in Sawyer County Circuit Court on January 19, 2018, for bail bond hearings regarding their new criminal charges. The Court placed Wolf on a $10,000 cash bail bond with conditions that he complies with the Sawyer County STOP program to include daily testing of blood/breath/urine, and maintain absolute sobriety. McMillan was placed on a $5,000 signature bail bond. Her bail bond conditions also require her to comply with the Sawyer County STOP program, to include random testing of her blood/breath/urine, and she was also ordered to maintain absolute sobriety.